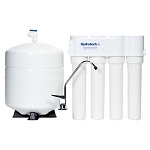 Of the many types of water filtration available today, reverse osmosis water filtration is certainly one of the most popular filtration methods. 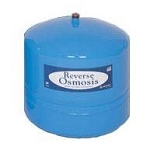 In reverse osmosis (RO), the filter uses a special membrane and pressure to achieve quality reverse osmosis filter results that remove dissolved solids and other chemicals from water when it passes through the membranes in RO water filters. 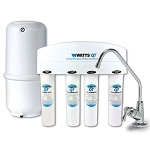 Here at Water Filters Fast, we have the best RO filters and other RO filter products for homeowners who want to clean their water through reverse osmosis filtration. Using the normal osmosis process, when pure water is placed next to water with a lot of dissolved materials or solute, the pure water will move to the water that has more solids in it, thereby diluting the solute concentration. 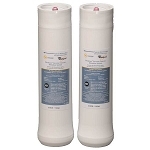 The reverse osmosis water filtration process uses pressure and a special membrane to achieve the opposite results. 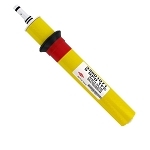 Through reverse osmosis filters, the water with the high solute concentration passes through the membrane in the RO filter, leaving the dissolved materials behind. The result of this reverse osmosis filter method is pure water that tastes and smells better. Water that has passed through an RO water filter also cleans dishes, clothes, and other items better than unfiltered water. In order to keep your reverse osmosis water filter system running properly, you need to have the proper reverse osmosis water filters on hand for cleansing the water when your old RO water filter goes bad. 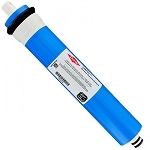 You can find an entire selection of reverse osmosis water filters here at Water Filters Fast, as well as complete RO water filter systems. 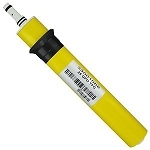 We offer the best prices in the RO filter industry on our RO water filters, and you enjoy the experience of ordering from a company that is well versed in reverse osmosis water filtration. 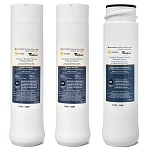 We can help you find the right reverse osmosis filter for your needs and better understand the reverse osmosis filtration process. 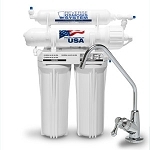 Our representatives know what they are talking about when it comes to reverse osmosis filters, so you can always trust us to give you the best reverse osmosis water filter advice. 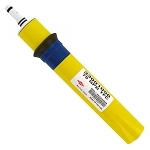 When your product order, including orders that have RO filters, totals $75 or more, then you enjoy free shipping on your reverse osmosis filters and other reverse osmosis water filter products. 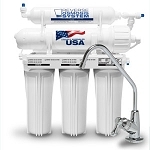 We believe that we can offer you the best service and prices on RO filters, so click on any of the reverse osmosis water filters below to learn more about it or contact us with any specific questions about RO water filters and the reverse osmosis filtration process.